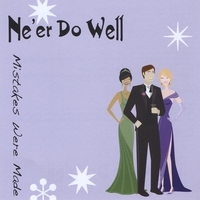 Ne'er Do Well is pleased to announce the release of their debut album Mistakes Were Made. The album combines the raw power of Gwar with the delicate sensitivity of Walt Whitman. It's an East meets West, Red State meets Blue State tour-de-force that harkens back to a time when music was pure and syphilis threatened to destroy mankind.